Questions about safety cables, garage door springs and other parts? We offer top answers. Why do I need professional maintenance service? Conducting regular maintenance and visual inspection on your own is a good way to keep the door in good working condition. However, having a professional check on all the moving garage door parts like the garage door springs, rollers, and hinges is an excellent preventive maintenance for your door. What type of care and maintenance does my wooden garage door need? Every garage door type requires constant cleaning and lubricating of the moving garage door parts except the rollers and tracks. Simply clean them with water and detergents. For wooden garage doors, regular refinishing protects them from expanding and cracking. What are the differences between and extension and a torsion spring? 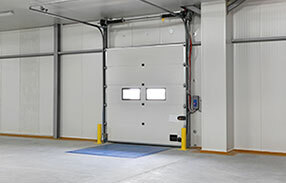 Extension springs are connected on both sides of the door while a torsion spring is located just above the header and is said to be a better choice as it gives more balance to the door. Why can’t I keep my garage door fully closed? Check for obstructions of the tracks. If there are small pebbles or dirt, remove them while the door is fully open. 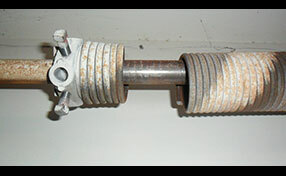 Most often, this issue is due to too much tension in the torsion spring. To test it, disconnect the opener using the release handle, lift the door halfway to open position and release it. If the door moves up quickly, the spring has to be adjusted for reducing the tension.